Each of the military branches researches, tests and deploys various laser systems. But right now, a real battlespace is hosting a showcase of laser threats and countermeasures off the coast of Yemen. 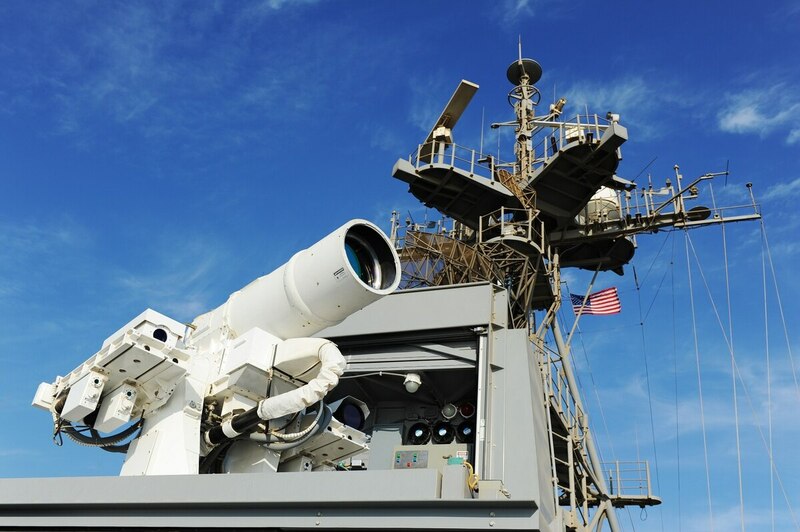 Marine Corps Commandant Gen. Robert Neller told congressional representatives during a budget hearing this week that the area is a hot zone for the use of both offensive and defense laser systems. Neller’s comments came following remarks made by Secretary of the Navy Richard Spencer and Chief of Naval Operations John Richardson, who discussed with the House Appropriations Committee the possibility of a “family of lasers” portfolio to help combat smaller threats to Navy ships, such as air and seaborne drones. “It’s not just at sea, what’s going on off the coast of Yemen is kind of a live-fire laboratory,” Neller said. A hand-held laser designator would let Marines on the ground target laser-guided bombs. Neller added that Marines in various capacities use laser technology, especially for drones and other such devices used to shoot them down or “break the link,” meaning to disrupt the signal between the drone and its controller. Most of what’s in use with this platform is from violent extremists using off-the-shelf technologies to try and disrupt U.S. systems, but Neller assured the representatives that Marines have the “capability to counter it,” yet he wouldn’t go into specifics.